This description is not hyperbole. My 3 days in Chicago (my hometown) were extraordinary, often brought me to tears. In large measure this was the perfect storm of mystery, political action, and soulfulness, ritually enlivened by the best practises of Judaism. 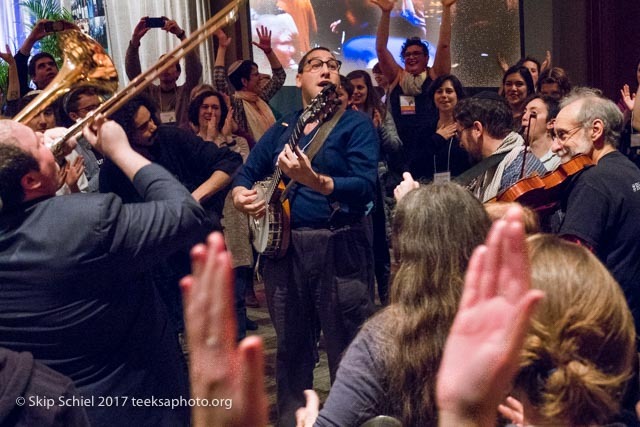 It is all and more what I’ve long desired for Quakers–no split between holiness, love, and political action. 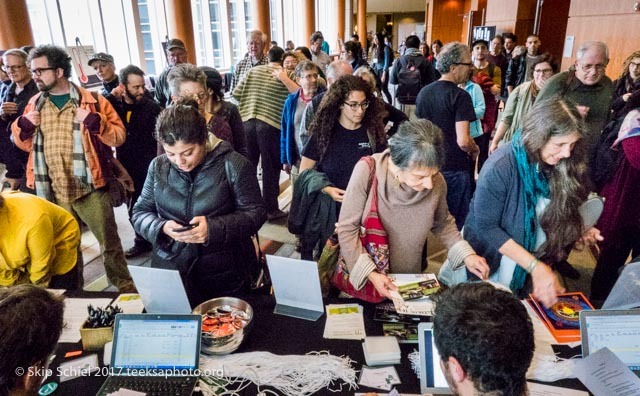 Love, joy, outrage, smart thinking, argumentation, energy, cooperation, innovation, singing, dancing flooded the meeting of over 1000 participants—and of course the stuff of conferences, meeting and learning. I was in tears twice on the last day, first during the morning plenary which was meditative, based on the power of rocks. 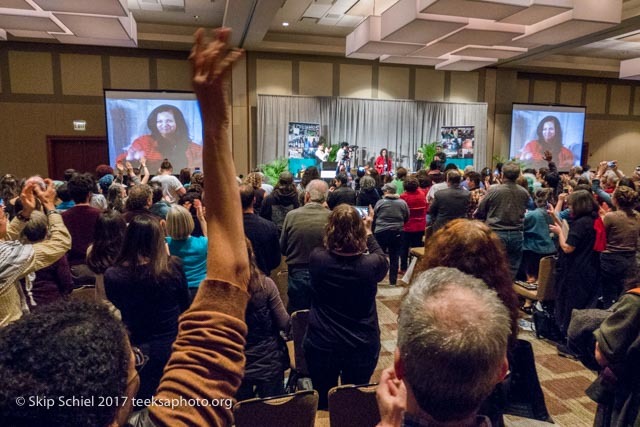 I wept because I felt I was so perfectly in the right place, with a community that melds spirituality and political action. 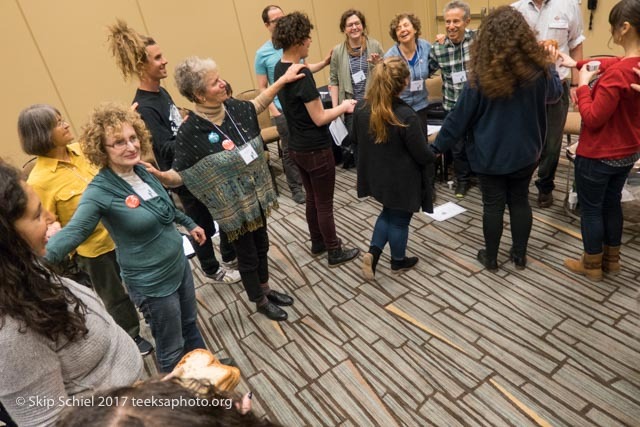 We sang Jewish, prayed Jewish, danced Jewish, lit candles Jewish, and tried to fully embody Jewish justice traditions. In some weird way, I may be more Jewish than some of my Jewish buddies. Without the pedigree probably. 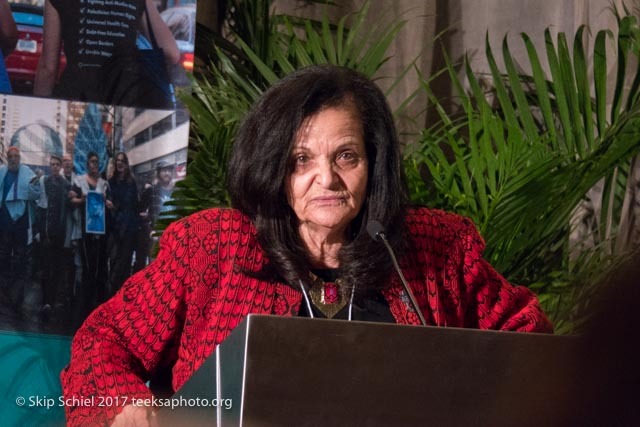 Secondly, our closing included words from the Palestinian activist, Rasmea Odeh, whose trial I attended in Detroit two years ago and who has now offered a plea bargain–voluntary deportation, no prison, no fine. A Black activist from the baptist preacher tradition, Nyle Fort, and Linda Sarsour, one of the main organizers of the DC Women’s March, Brooklyn born, Muslim, wears the hijab, and has been wildly targeted, joined her, all three pushing us up on our feet. Here’s a powerful statement from Rebecca Wilkomerson, executive director of JVP, interviewed in a leading Israeli newspaper, Haaretz. An alternative account in the US-based Jewish newspaper, Forward. Skip, beautiful accout. 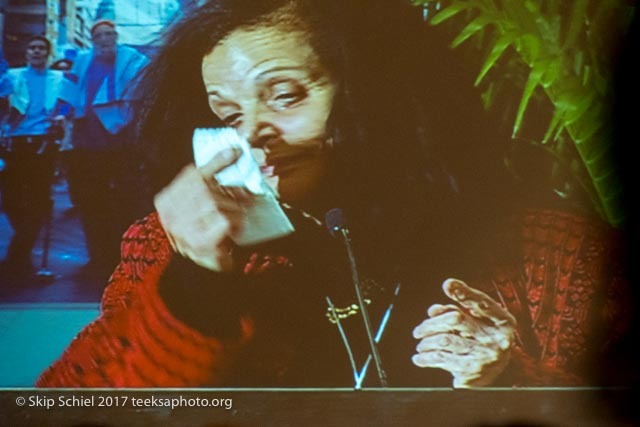 Rasmea's photo are great, well offering her courage and depth, and her humane beauty. skip schiel posted: "[The meeting ] has been about much more than naming oppressions. We danced (some of us), sang, laughed, wept, mourned, strategized, debated and disagreed and most importantly we dreamed. 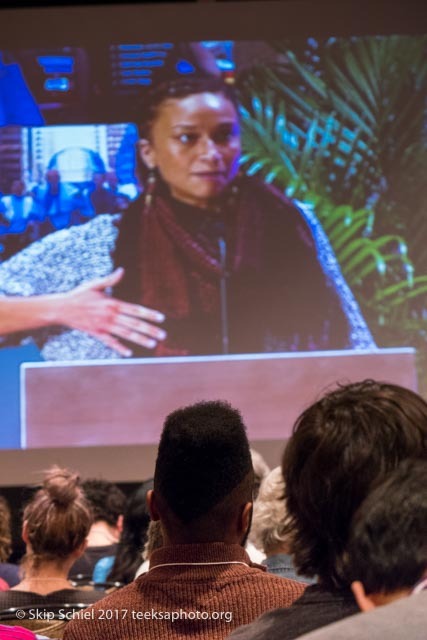 We dreamed of a beloved community.âNyle Fort [one of the presenters]"